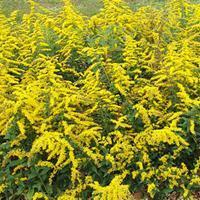 A foundling in a group of the tall species, noticeable for its compact habit, 'Golden Fleece' has proved valuable for the front of the border and as a colorful groundcover. Rosettes of leaves send up many branched stems that are covered in golden spires from September to October. Fantastic cut flower too! A new hybrid wildflower that has made the jump from the wayside to a star position in perennial beds, garden worthy for its compact, non-running habit and loads of lemon yellow spires of bloom. Cut back after initial bloom to encourage a repeat late fall flowering. Lovely as an under planting to masses of tall verbena, globe thistle, or blazing star. Patented. Mentioned as long ago as Parkinson's time in the late 1500s and championed in the Victorian age along with many other grasses, feather grass is a soft cloud of bloom atop fine, silky stems. It glistens in the summer sun! It is native in North America only to mountains in west Texas and New Mexico and south to central Mexico. It can become invasive in California and other areas. Synonym Nassella tenuissima or Mexican Feather Grass. 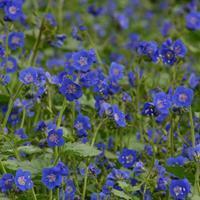 These exceptional true blue flowers have penciled round white centers and beautifully contrasting white anthers. 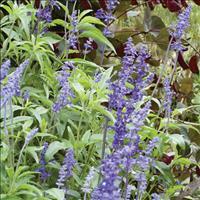 A marvelous garden plant that blooms early to late summer in moderate summer areas. Easy to grow and long blooming in welldrained soils, it grows well in containers too! Native to California. Self sows. This new cut flower, container and border variety has ample clusters of flowers with a flush of pink warming the edges of the pure white blooms. 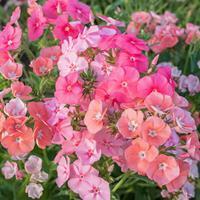 Lovely and special, it easy to grow and blooms non-stop all summer and fall. Texan Pride is another name for this showy, easy to grow flower. ‘Brilliant' dates from circa 1901 and was described in 1923 as light pink with a distinct dark pink eye. One of the oldest still available. 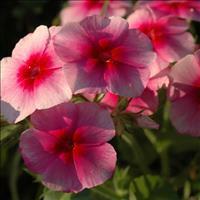 Phlox was a popular bedding plant in Victorian times; old catalogs often featured colored plates of many varieties. It is also one of our favorites for its wide range of color and bloom time. This hybrid selection has warm summery colors of pink, yellow, apricot, red and white. Annual Drummond’s Phlox were the darlings of the Victorian era when dozens were offered, a testament to its garden worthiness and variety of color and form. This beauty has soft caramel and buff shades with violet and pink accents. 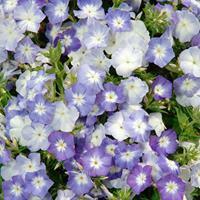 A vigorous grower in good soil, given lots of space it will soon be covered in sheets of bloom. An heirloom listen in an 1886 garden catalog, 'Isabellina' has moonlight-yellow blossoms in clusters. A perfect addition to a white garden, or along paths with California poppy 'Apricot Chiffon' or viola 'Etain'. It's amazing how the flowers of this hardy annual take after their more lofty cousins, the perennial phloxes. Clusters of 5 petaled lavender blue flowers with white centers bloom all summer long in moderate summer areas until the freezes of late fall. 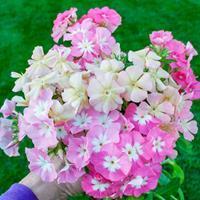 One of the oldest phlox varieties we have found, ‘Leopoldii’ was available in 1883! Gently tinted flowers of warm pink, each with a tiny cream eye, bloom in clusters on gracefully draping stems. Sweetly scented with a hint of new-mown hay, this variety has larger flowers than most and blooms for months. White satin and lavender-blue flowers with beautiful eyes and markings in contrasting blue shades you could only envision in your wildest dreams. Fantastic as edging, shear for all-summer bloom. A gorgeous confection of a flower with large sprays of blooms held well above the foliage. 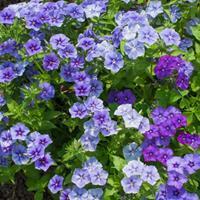 This selection from our favorite Dutch breeder brings a new color, navy blue, into the lexicon of phlox. Grow in drifts for maximum flower power. Sow early spring, fall in the South. 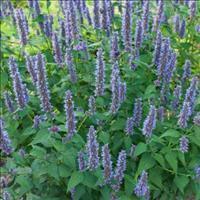 Native to Texas and introduced into gardens in 1847, mealy cup sage is a highlight of annual flower gardens, well-loved for its clean foliage and long spikes of purple all summer and fall. Richly colored and more compact 'Blue Bedder' was listed in seed catalogs as early as 1932. Mealycup sage is a mainstay of the summer garden, as it always looks fresh and perfectly presentable even in the most sultry of conditions. Native to Texas, the common name refers to the silvery felted calyces. This award winner has blue and white spikes of bloom that attract butterflies.